Love TKO is a song by Fourplay in the Jazz genre. It was released in 2010 by the Heads Up label. The artist's official site can be found at www.fourplayjazz.com. The original Love TKO was performed by the legendary rhythm and blues singer, Teddy Pendergrass over 30 years ago. Over the years, it has been covered by a wide variety of artists, with Fourplay being the most recent. 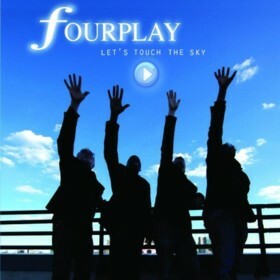 Fourplay's newest album, "Let's Touch the Sky" features their own jazzy rendition of the song, with vocals being performed by former American Idol winner Ruben Studdard. I won't say that this is my favorite rendition, but it comes very close. The Teddy Penergrass original had a very soulful, bluesy tone. This version is just as soulful, but has that distinctive Fourplay sound that they are so well known for. The beat of the song is extremely catchy and Ruben Studdard does an amazing job with the vocals. Even people who are not fans of Jazz music will likely enjoy this song as it is not your typical Jazz song and Fourplay is not your typical Jazz group. All fans of music should check it out, and while you're at it you may as well check out the original version of the song as well - they are both amazing :).